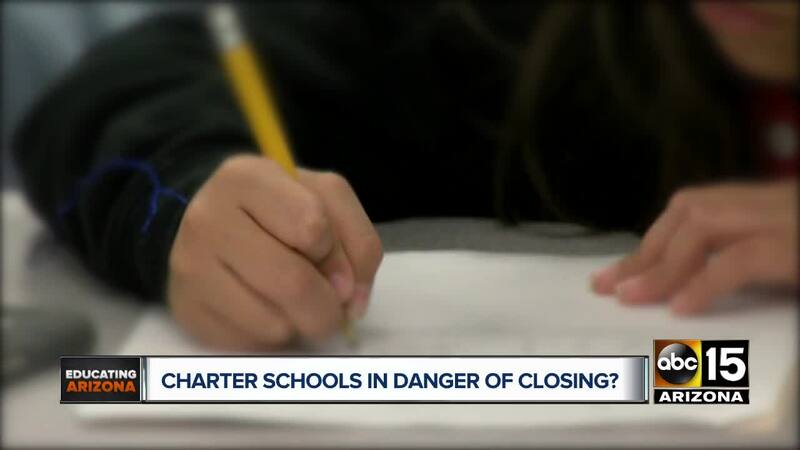 PHOENIX — More than 100 charter schools in Arizona are in danger of closing, due to financial mismanagement, declining enrollment, and mounting debt. The institute has published three reports detailing questionable financial practices in charter schools, from windfalls to charter operators, to the practice of "self-dealing." That's a financial practice of contracting with companies owned by the charter holder. It's illegal in district schools, but charter schools are largely exempt from the same financial rules. GCI has advocated more aggressive oversight of charter schools to prevent financial problems. "We're trying to help them be more pro-active. They have an interest in being pro-active," said Dave Wells, the study's co-author. "We're trying to make more transparency in our recommendations so this kind of problem can be contained and we can improve it in the future." The report sheds new light on charter school finances, and comes on the heels of multiple news reports, showing charter school owners manipulating rules to create enormous paydays for themselves. In September, State Rep. Eddie Farnsworth sold the Benjamin Franklin Charter Schools he owns, to a non-profit he created, earning an estimated $14 million in profit. State lawmakers are expected to take up the issue of charter school reform when the legislature convenes on Monday. Republican state Senator Kate Brophy McGee has proposed a series of ideas to bring tighter controls to charter school finances, an idea which has gained a tacit endorsement from Governor Doug Ducey. Public education advocates remain skeptical of the plans. Joe Thomas, president of the Arizona Education Association, predicted the effort will lead to "meaningless" reform.